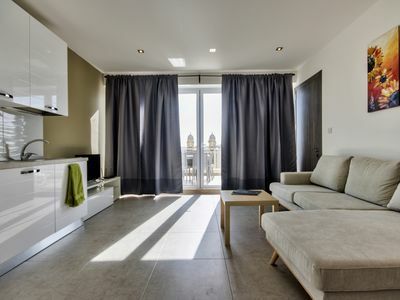 The apartment is located in a historic building which has been renovated. 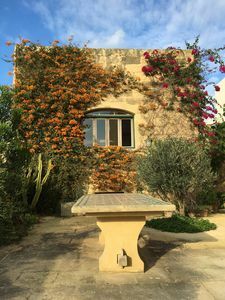 It combines the beauty of traditional Maltese homes with modern artistic concepts. 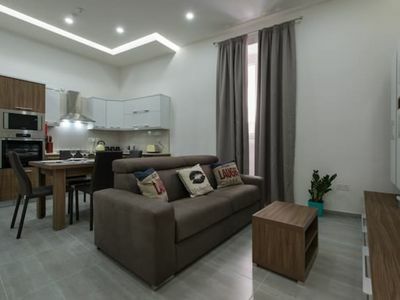 The apartment provides a homey feeling with a well sized living room, embellished with beautiful lightning, couch, dvd player, TV and mosaic dining table. 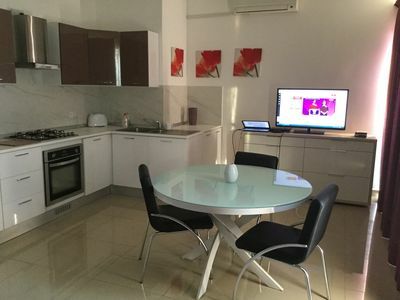 The kitchen is fully equipped with oven and microwave, all required cooking utensils, pots and pans. WIFI internet is also available for free. A gas heater is provided. 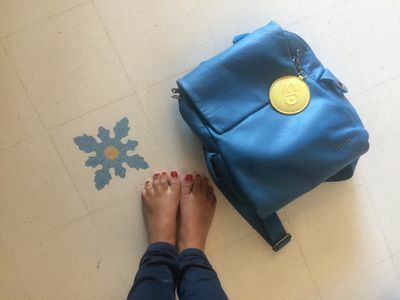 Travelling with kids? No problem - baby chair and baby cot included. 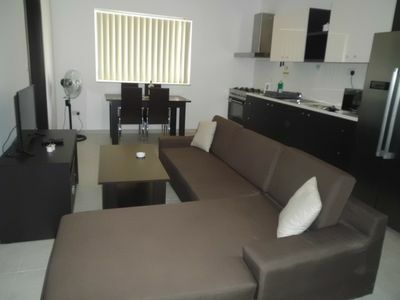 The media room is surrounded by two bedrooms, the main bedroom and a secondary room which can host two persons and a baby cot. 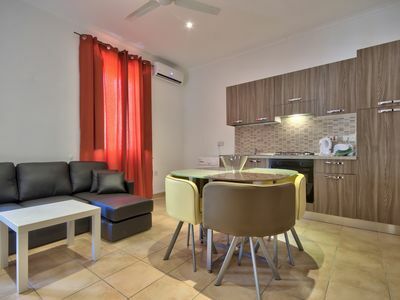 The main bedroom is spacious and has been refurbished with new furniture and queen sized bed. 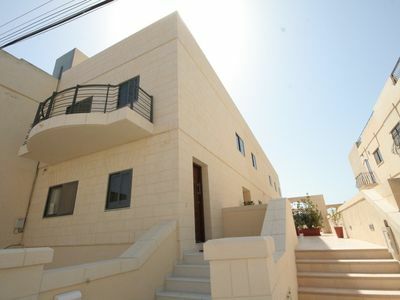 It also enjoys a balcony which helps keep the apartment cool all year round due to the breeze that blows from the sea. It’s a great place to sit and read your favourite book while your dinner cooks after a long walk by the seaside. 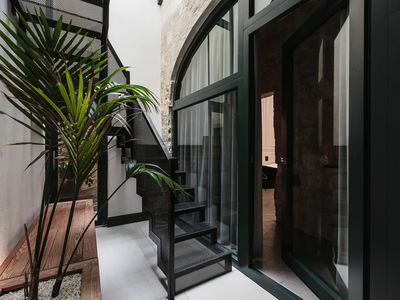 A lift caters for easy access to the apartment. The public bus stop is located just outside the apartment and other popular bus stops used by language schools are all within 5 minutes. A number of shops ensure that you have a fresh supply of products daily. A pharmacy and a hospital are located one street away. A number of boutiques are located in the area. 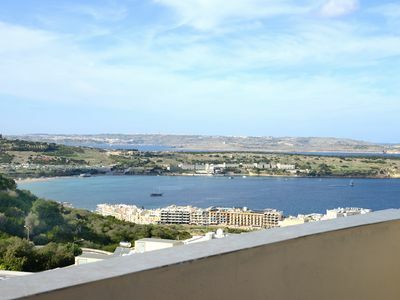 Buses to Valletta and all other major tourist attractions all depart from Sliema including the ferry to Comino as well as all other connecting ferries to Valletta. 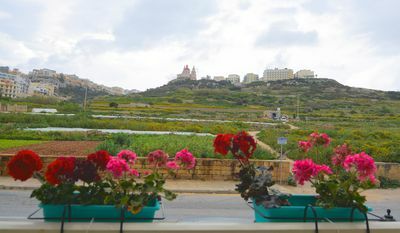 Public transport in this part of Malta is very easily accessible and taxis to and from the apartment to St. Julians are about 10Euro)which means you are well connected round the clock. 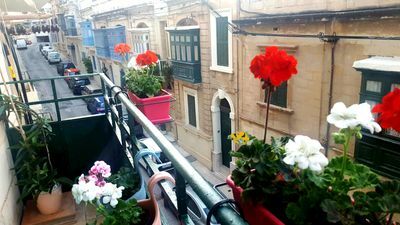 This boutique apartment lies in the colourful seaside resort of Sliema, the latter being the beating heart of the Maltese islands and close to the vibrant St. Julians area. 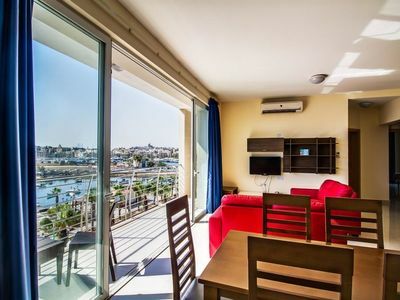 The apartment is only 100 meters from the beach in Sliema where cafes, lounges, bars and beach clubs are located. 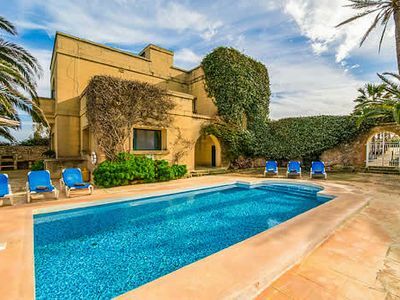 You can also find English language schools, diving schools, International banks and art galleries. 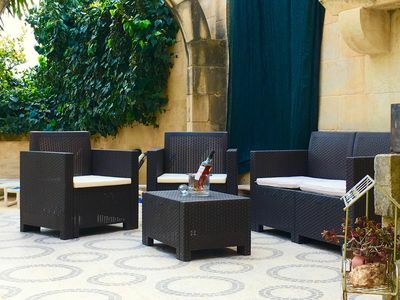 schools, fishing, water sports, casinos or simply a relaxing holiday, this part of Malta caters for it.